Hello to all of our ribbon-loving friends! Karen Letchworth here today with a quick post using more of my Really Reasonable Ribbon favorites. Life certainly has its ups and downs, and we all go through difficult times. It's so important to remember, though, that everyone goes through these rough times. We often get so focused on our own troubles that we forget to notice that others are struggling as well. One thing I try to do when I'm having a bad day (physically or emotionally) is to encourage someone else. It takes my focus off my own worries, and helps me to be grateful for all my blessings, and remember that others are hurting (sometimes much worse than I am). We ALL need the love of others. I made this card to say THANK YOU to someone who, despite her own struggles, always takes time to encourage me (and others). It's important to say THANK YOU to people for the things they do. 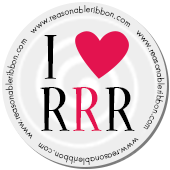 That's one of the many things I LOVE about Really Reasonable Ribbon. 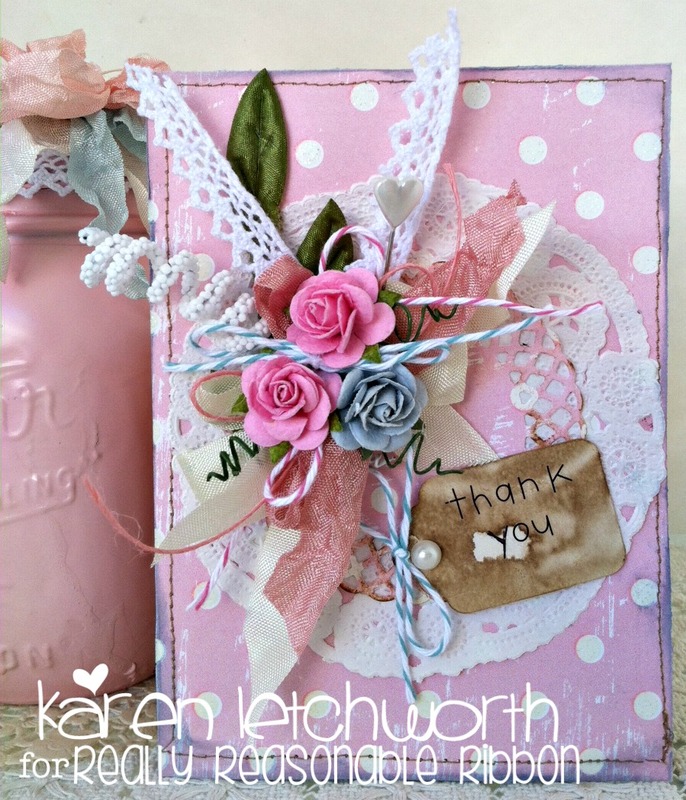 Their sweet ribbons, laces, trims, flowers and embellishments make it so easy to create a sweet card to thank someone.